I used to think that kabuki was difficult to understand, something expensive and exclusive for the rich old people. Not so many Japanese go see kabuki actually, although some kabuki actors appearing on TV are quite popular and famous. I came to see it only after I started learning shamisen – my shamisen teacher sometimes plays it at the Kabuki Theater. When I saw it for the first time, I almost fell in love with it! It was easy to understand with the audio guide service, and everything – actors, costumes, stage set, dancing and music – was overwhelmingly beautiful. I thought I had been so stupid without experiencing it for long time. Since I started enjoying it, I’ve been frequently asked how to get tickets at the Kabuki Theater. 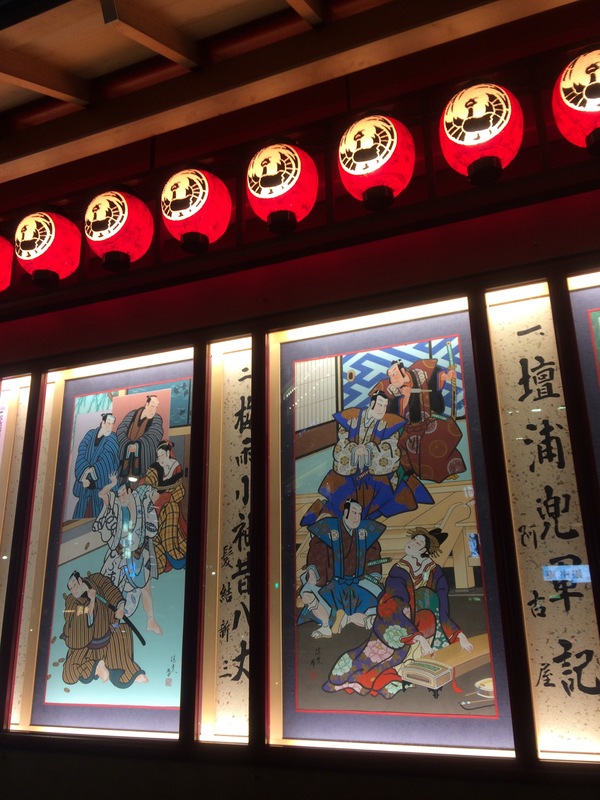 Here are some tips for those who are planning to visit Kabukiza, the Kabuki Theater located in Ginza, Tokyo. To book tickets in advance, it’s convenient to book online. Normally the popular acts are sold out quickly. But even the tickets are once sold out, there are lots of cancellation occurring. So you may want to check it frequently. There are four types of tickets, and cheaper seats sell so quickly. You can buy tickets from the below link. You can buy tickets at the box office located on basement level 2. When there is any seat available, they sell the tickets on the day as well. Kabuki-za prepares ‘makumi’ tickets separately from the above mentioned tickets for those who want to enjoy single acts (The above mentioned tickets include 2-3 acts, which takes about 4 hours in total). So even the advanced tickets are sold out, there are around 96 seats and 60 standing places. These seats are located on the fourth floor and it’s prohibited to visit other floors including the souvenir shop located on level 1. Instead, you can enjoy the whole view of the main stage and listening the unique shouts from the audience closely. What is more, the price is quite reasonable, which is around 1,000 to 2,000 yen per act. The box office for single act is located on level 1 on the left side of the main entrance. Opera-glass, if you want. I always bring it with me. You can buy one at the theater too. Food and beverages, if you want to take between the acts. 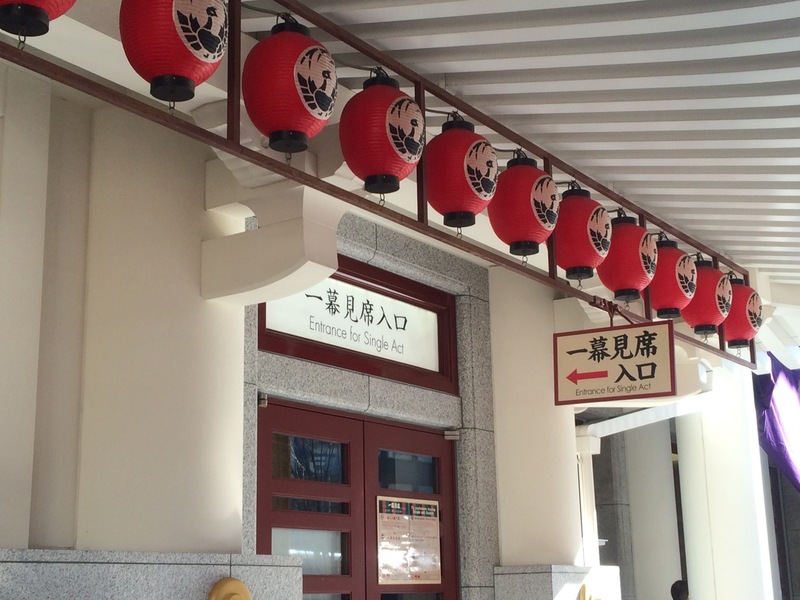 They also sell lots of bentos, snacks and beverages. Credit card, if you’ve booked your tickets online. It’s necessary for confirmation when you issue tickets from the ticketing machine. At Kabuki-za, they change the programs every month. Choosing what to see is the most exciting but difficult one for those who are not familiar with kabuki. 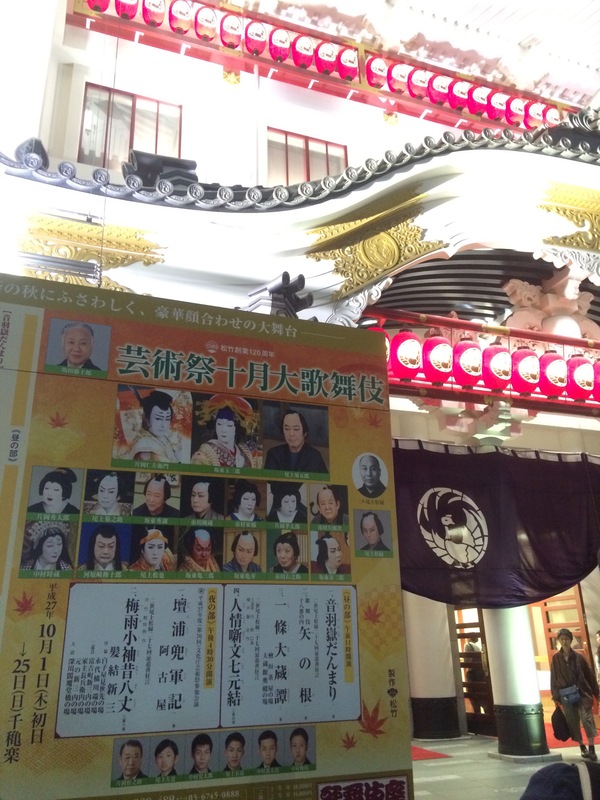 Actually there are many types of stories, from classics to experimental ones (Hard to believe it, but one of the most popular animes “One Piece” is performed as kabuki by Ennosuke Ichikawa IV in another famous theater called “Shinbashi Enbujo” now, from October to November 25 !). I’m still a beginner, so I choose by actor / actor’s family. 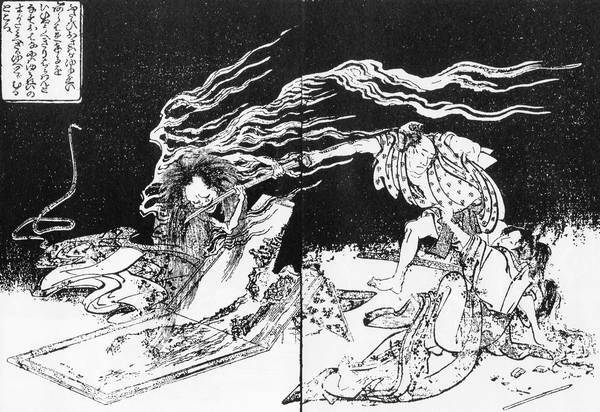 Perhaps the most famous kabuki family is Naritaya led by Ichikawa Ebizo. His ancestor appears even in our Japanese history textbook. Koraiya by Matsumoto Koshiro and Nakamuraya by Nakamura brothers (Kankuro & Shichinosuke) are also very popular. If you google these names, you can find lots of information including photos and videos. That might help you choose which play to act. My favorite actor is Bando Tamasaburo V, who is the most famous onnagata (female impersonator) today. His performance is perfectly and exceptionally beautiful from head to foot, which doesn’t need any explanation. This month (October 1-25, 2015), he’s playing the role of ‘Akoya’, a courtesan who is skillful in three Japanese traditional instruments, namely koto, shamisen and kokyu. Amazingly, he plays these instruments by himself, wearing gorgeous kimonos. I saw it on October 2, recommended by my shamisen teacher and it was actually worth seeing. Lastly but most importantly, don’t mixed up with Kabukicho in Shinjuku… It’s a COMPLETELY different place!